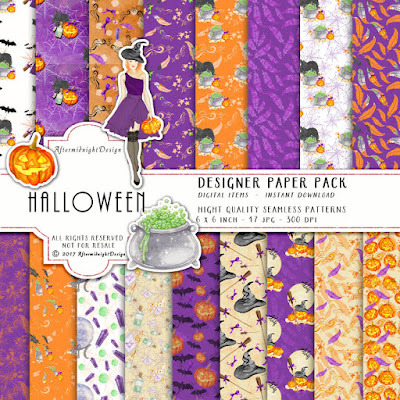 Here´s the new kit with watercolor clipart and the matching paper pack. You can find it in my shop now. 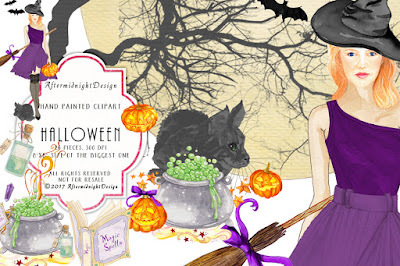 I´m working on some Halloween cards as well. I hope to be ready with them in a couple of days.